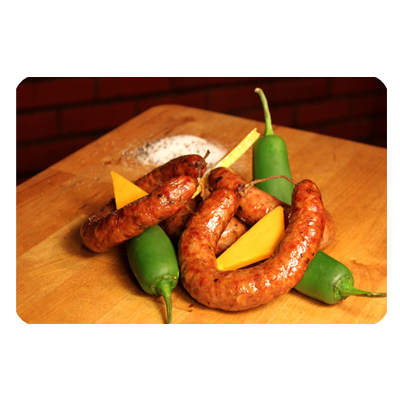 A bit hotter than our jalapeno pepperstick, you will have a distinct flavor of Mexican jalapeno peppers that will give your sausage that Southwestern flare! Make chubs, snacksticks or dinner links. This blend is versatile! 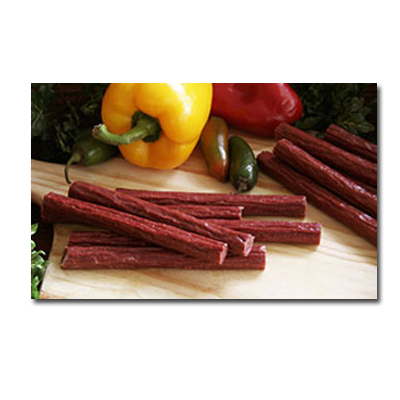 Packages are available for 10 or 25 pound batches of jalapeno flavored snackstick sausage. Salt, corn syrup solids, jalapeno, monosodium glutamate, onion, dextrose, spices, garlic, bell pepper, sodium erythorbate, artificial flavor, <2% soybean oil & calcium silicate.